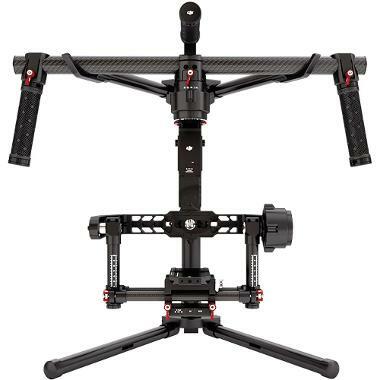 The DJI Ronin Extended Arm Handheld Gimbal Stabilizer features built-in Auto Tune Stability that intelligently tunes this stabilizer to your camera in as little as 5 minutes. There are 3 modes of operation: upright mode (to keep the camera closer to eye level), underslung mode (the traditional gimbal position), and briefcase mode (for tight shooting areas). The DJI Ronin Assistant Software gives you access to all system configurations right from your phone (please use your own app credentials when logging into the app but use our credentials when connecting to the Ronin – details are in the Notes tab). The included pair of CineMilled arm extensions adds 1.575" of length to this system's arms. 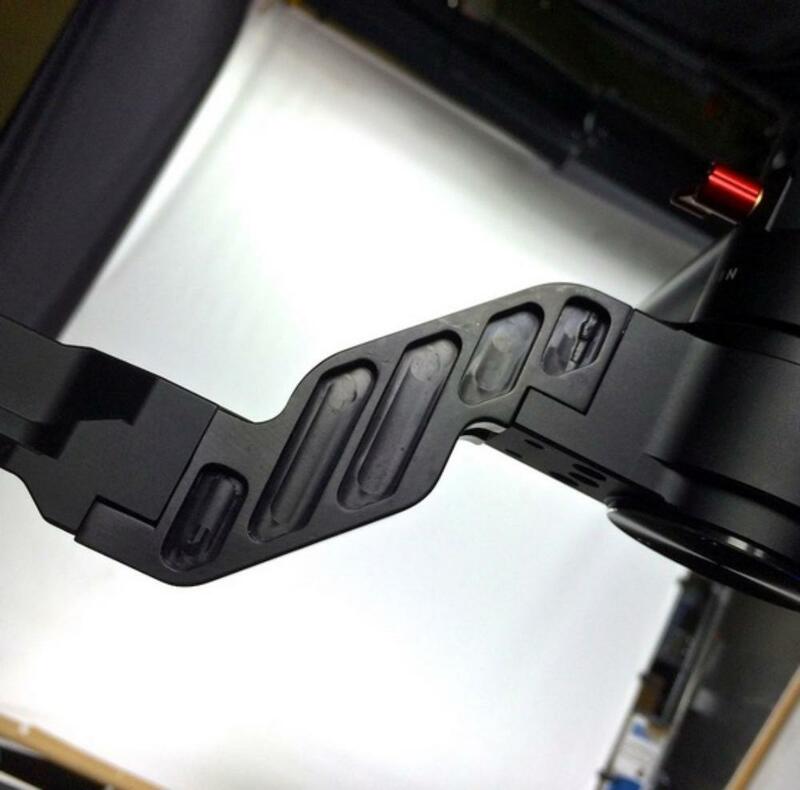 The added clearance expands your mounting options, particularly for larger cameras or cameras with larger matte boxes attached to them. 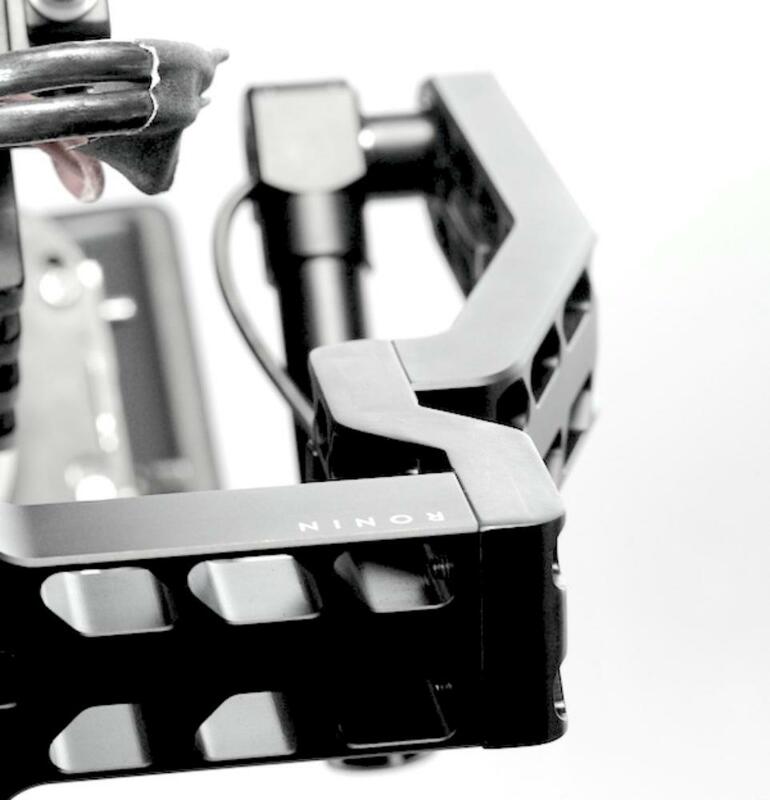 Included is also a CineMilled pan arm extension to displace the stock pan arm by 1.8" so that you can properly balance an extended camera setup. 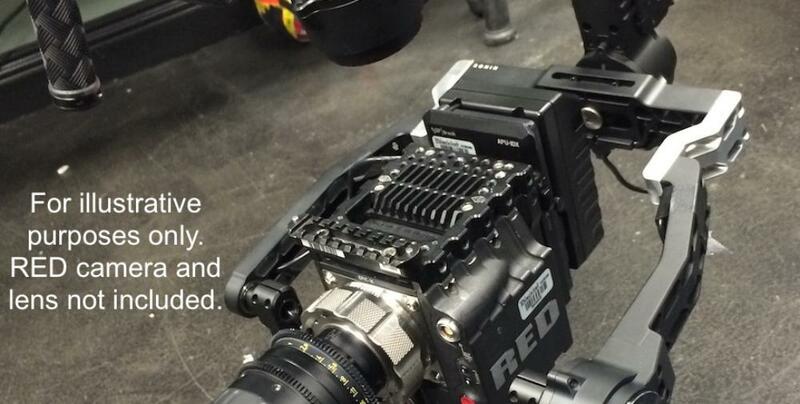 This stabilizer is designed to work with a multitude of lens and camera combinations and runs on a fast processor with a built-in receiver that includes the remote. The top handle bar quick-releases and the battery provides over 4 hours of run time. This stabilizer is ideal for video shooting of all genres and styles.